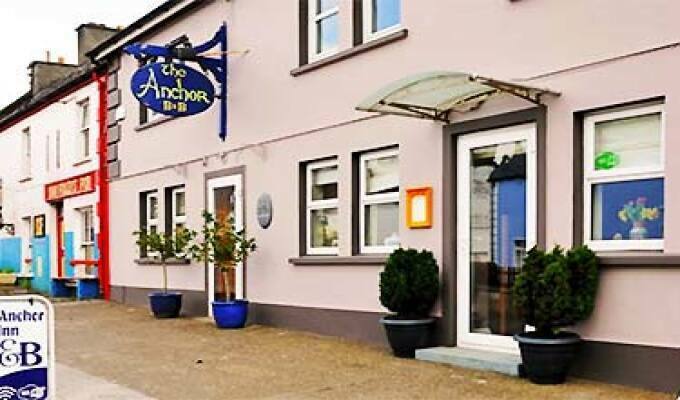 If you're visiting Kerry or the Dingle Peninsula, the Old Anchor B&B & Restaurant is the perfect place to stay - in the heart of the picturesque village of Annascaul, Dingle Peninsula, Kerry, Ireland. All 8 rooms have private bathroom & toilet - TV / DVD player - tea & coffee making facilities. Choose from a wide selection of books & DVDs In our lounge and enjoy them in the comfort of your room. This is a great choice in Annascaul. This is a very comfortable and friendly place. The room was lovely and full of light even on a cloudy day. The owners did amazing things to accommadate us such as loan gloves for a night hike. We would definitely stay here again.